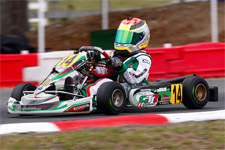 Taking to the 7/10-mile Mooresville Motorplex in Mooresville, North Carolina for the inaugural USPKS event, Gangi Jr. would turn heads as he clocked the fastest lap in Saturday's qualifying to earn the pole position in his junior debut and his first visit to the Mooresville course. Falling back in the first heat to finish ninth, the GT7 Motorsports/GT7 driver posted fourth overall in heat two and also claimed fast lap honors. 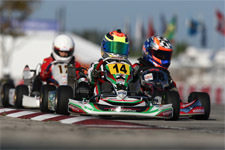 Lining up seventh for the main event, Gangi Jr. was again the fastest driver on track, able to clock laps two to three tenths faster than the leaders as he moved into contention for the win. 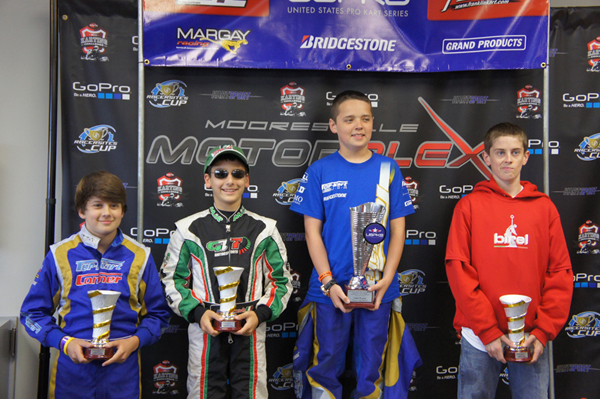 Unable to catch the eventual race winner, Gangi Jr. was able to claim a second place podium result to start off his weekend. Sunday would be a more consistent day for the 2013 Florida Winter Tour TaG Cadet champion, and run under wet conditions all day. 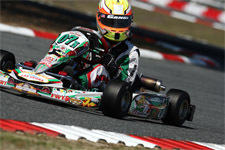 Gangi Jr. placed second in the morning qualifying session, and used his position to take the heat one win. Riding the bumper of the leader for the majority of laps, Gangi Jr. was able to capitalize and pass for the win on the last lap. Heat two would see the rising star engage in a battle for the lead with two other competitors, with Gangi Jr. eventfully crossing in second despite again being the fastest driver. Lining up on the front row for the day's main, Gangi Jr. fell back to third on the start. 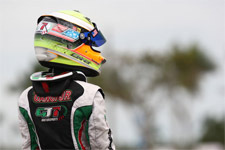 Quickly regaining his position, the young gun was unable to make up the deficit created by the leader and would again take second place podium honors and fastest race lap to complete his junior debut. 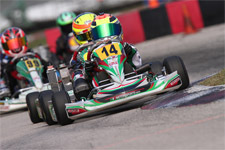 Up next for Gangi Jr. is the season opener for the Great Lakes Sprint Series May 10-12 at the New Castle Motorsports Park in New Castle, Indiana. 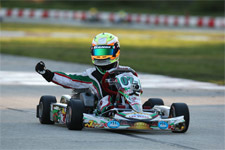 Continuing his busy summer schedule, Gangi Jr. will be back in action the following weekend for the third round of the WKA Man Cup series at the same New Castle circuit. Anthony Gangi Jr. would like to thank his long time tuner and driving coach Chris Perez and engine builder Daniel Woltjer form Woltjer Racing Engines for their assistance and support in his junior and USPKS debut. Additionally, Gangi Jr. would like to thank his sponsors Millwork Solutions, Holeshot Drive Systems and PKT Axles.